eBox from the government. Everything you need to know. eBox from the government. Everything you need to know. With eBox, the government wants to centralize all digital documents. 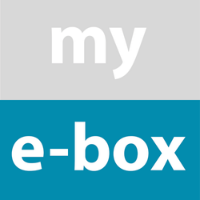 You can activate eBox via the digital administration platform Doccle. You could say it is like an online letterbox at the Government. Thanks to this electronic letterbox, you as a citizen can receive official documents from the social security institutions. Every Belgian has one. Doccle is the only independent platform on which you can receive documents from the eBox. On Doccle you can also receive, pay and store documents from various different companies and organisations, such as Telenet, KBC, CM, De Watergroep etc. This way it is possible to manage your entire administration in one central location. In addition, Doccle is completely free. How do you activate My eBox? You obtain access by identifying yourself once with your electronic identity card (eID) or via the mobile app itsme. You can simply follow the steps below. Before starting, you first have to log into your Doccle account. If you do not yet have an account, you can create a new account here. To do this, click on ‘add eBox’. You will then be able to link your eBox with your eID or with the itsme app. Which documents are sent via eBox? Below is a list of government services that already send documents via eBox today. This list will continue to expand over the coming months and years because more and more government departments will work with it. You only have to activate it once to receive all your available documents via Doccle. The National Employment Office (RVA): career break tax form. The National Office for Annual Leave (RJV): account statement for annual leave. Sigedis: annual overview of career data, career events information. Student@work: remaining days, calculation of social security contribution. Horeca@work: remaining days, calculation of social security contribution. Federal Agency for Family Allowances (Famifed): child benefit data. Federal Agency for Occupational Risks: tax form. Liantis Social Insurance Fund: tax forms. Auxiliary fund for sickness and invalidity insurance (HZIV): Information about HZIV insurance. Corilus: medical care supporting document for the patient. The National Intermutualistic College: legal certificates. Pension Fund of the Federal Non-Profit/Social Profit Sector: pension portfolio.